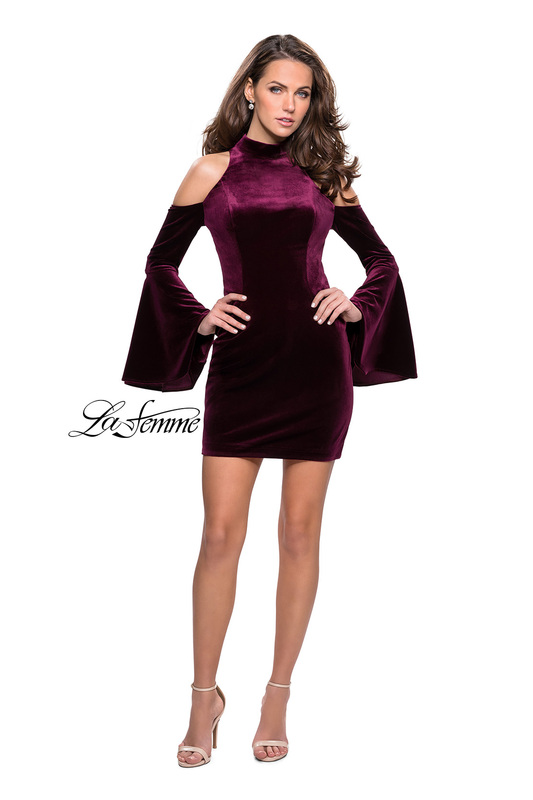 A trendy short velvet dress with high neckline and bell sleeves. This stunning dress features cold shoulders. Back zipper closure.